Laura and Lucky are shocked to see Jake. 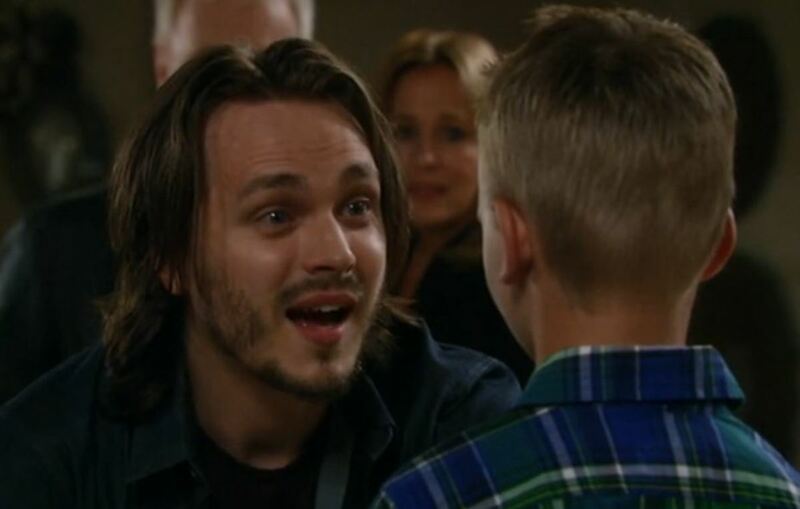 Lucky tells Jake that he&apos;s his father. Luke explains that Helena sent someone to grab Jake after he was hit and that he&apos;s been on the island the whole time. Lucky wonders if Nikolas knew the truth. Laura is certain that Nik wouldn&apos;t keep a secret that big. Lucky decides he needs to take Jake home to Liz. Laura offers to speak with Jake. Dante runs into Valerie. He tells her the truth about Lulu&apos;s excursion and that she wasn&apos;t having an affair. Dante says their tryst can never happen again, because he wants to make his marriage work. Dante asks Valerie to keep their night a secret. Valerie reluctantly agrees. Carly drops Rocco at home and tears a strip off of Lulu for cheating with Dillon. Lulu explains the truth and swears she loves Dante. 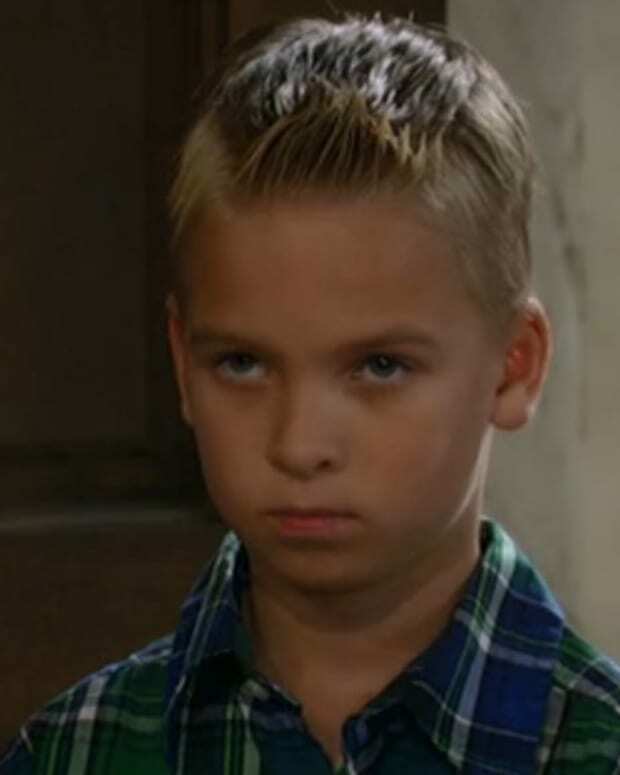 Carly lets it slip that Dante kissed Valerie. Monica at the Quartermaine mansion and Dillon tells her the truth about Luke and Laura. Dillon asks if he can stay–to be there for Tracy. Liz tells Jason about her hospital visit with Carly. She explains what happened the night Jake died. Liz says she has something to tell Jason and pronounces her love for him, which he reciprocates. Luke and Lucky share a moment. Luke tells him about his dark side and that he made terrible choices. Lucky counters that Luke was the best father. Lulu confronts Dante about Valerie. Jason runs into Monica at the Quartermaine mansion. Laura returns with Jake and they all agree to return to Port Charles. Once at Liz&apos;s, Luke stays back with Jake while Lucky talks to Liz.